The Bronze Coffee table XIX is crafted from the finest quality figured sycamore and stained in dark grey with a high gloss finish. This coffee table has an Art Deco aesthetic that features a clear glass top with bronze trimming detail all around the top, a bronze cross with central diamond shape detail and bronze caps. The Art Deco era was based on the architecture of skyscrapers and the celebration of lines. 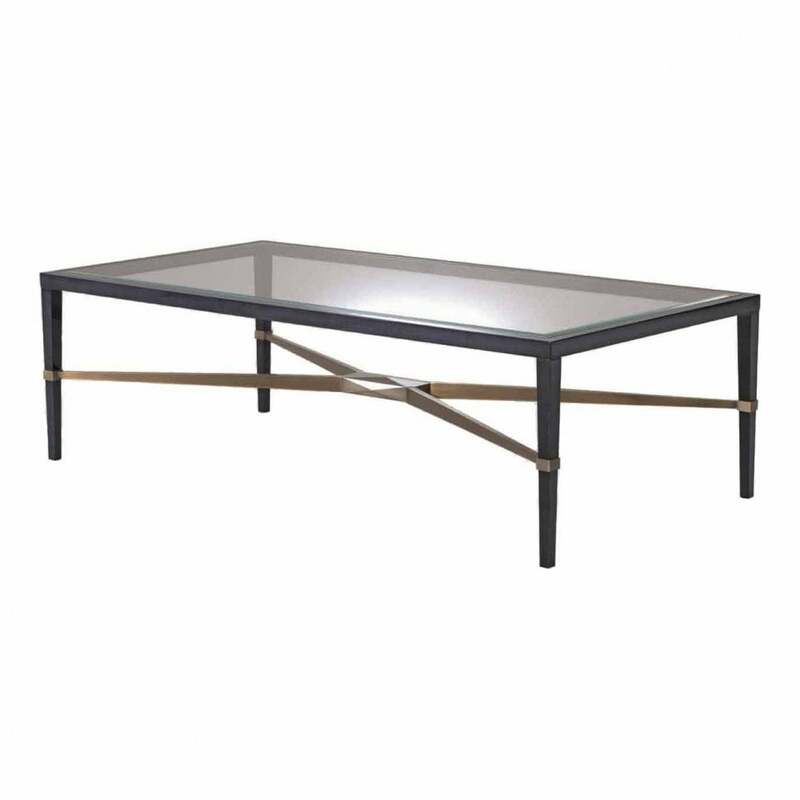 The Bronze Coffee table has a sleek design with a cosmopolitan feel. Add sophistication to your living room space and pair with the Bronze Armchair VI to complete the look. Display your favourite coffee table books and place a tray with candles and trinkets on the surface. See our Baobab candles for the most exotic fragrances of the highest luxury. Available in a range of finishes including Natural Black American, Walnut, Oak and Figured Sycamore.